The Bund (aka. Shanghai Skyline) is a section of Zhongshan Road that runs along the western bank of the Huangpu River, facing the Pudong side, Lujiazui. The Bund is rich with history, housing numerous legacy trading buildings from France, the United Kingdom, Italy, Japan, Germany, the United States, Russia, Belgium, and the Netherlands. Although the interior of most of these buildings was converted to fit the modern needs, the original features are still preserved. Shimao International Plaza, and the Jin Mao Tower. 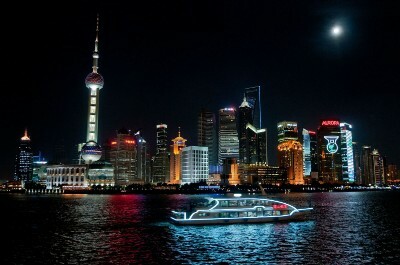 Not only can people view the Shanghai Skyline from the Bund, they can also take a ferry on the Yellow River. Boat rides from Puxi to Pudong or Pudong to Puxi are also available across the Yellow River and are very cheap, typically less than 5 RMB. According to a student conducted survey, around 71% of the students at Concordia would like to go visit the Bund in their free time. To go to the Jing’an Temple, you can take Bus No.113, 40, 830, 824, 20, 15, 37, 21 to arrive Jing'an Temple, or go to the Jing’an Temple States, a major hub of the Shanghai Metro network where Line 2 and Line 7 intersect. According to a student conducted survey, around 13.5% of the students at Concordia would like to go visit the Jing’an Temple in their free time. many changes. During the Opium War, it was severely damaged. The garden that we see today is the result of a five-year restoration project, which began in 1956. The most notable features of Yuyuan garden include: Sansei Hall, and Dianchun Hall, which contained historical features and a historical acting and singing stage. 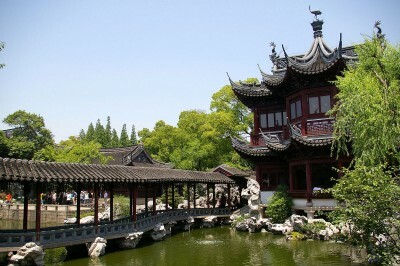 In this garden, you’ll discover the true treasures of Yu Yuan Garden. According to a student conducted survey, around 16% of the students in Concordia would like to go visit Yu Yuan Garden in their free time. 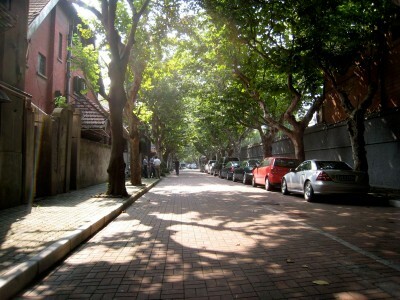 Former French Concession is the area in Shanghai, which was once designated for the French. On the west side of the Bund, the Former French Concession spans over 8 kilometers architectural designs that portray Catholocism in China. In order to fully absorb the culture of the FFC, streets such as: Wukang Lu, Fuxing Lu, Tai'an Lu, Dongping Lu, Julu Lu, Taojiang Lu, Wulumuqi Lu, Yongfu Lu, Xinle Lu and Changle Lu are amongst the most culturally diverse streets to go to. One notable feature of the Former French Concession would be the restaurants and cafes that make the atmosphere of the Concession in the first place. The restaurants that offer local cuisine in the area are considerably cheap with some stores such as: Xuezi Cai Fan (雪子菜饭 Xuezi Dishes with Rice), Xian Zhou Dao (鲜粥道 Fresh Congee Way), and Longji Guilin Mifen (龙记桂林米粉 Dragon Guilin Rice Noodles) just to name a few.